Indio, CA – The Greater Coachella Valley Chamber of Commerce kicked off it’s third year at Indio High School this month with our first set of guest speakers. 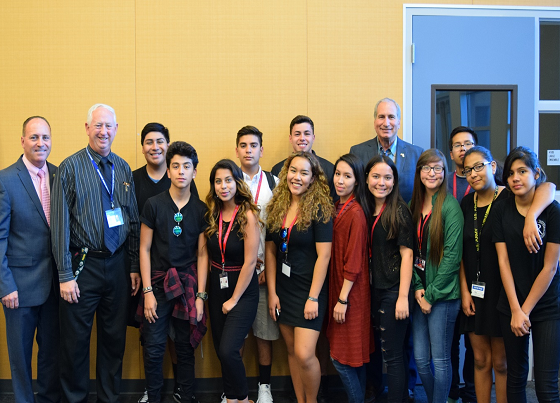 The program was pleased to welcome Mayor Glenn Miller of Indio and California State Senator Jeff Stone to address the students. Mayor Miller and Senator Stone discussed the path future leaders could take to public service, including preparing themselves now for future opportunities. 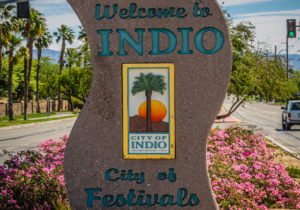 The Future Leaders program was instituted in 2014 by the Indio Chamber of Commerce as a way to connect local students to the valley’s economy. The program was originally launched at Indio High School, and eventually expanded to Shadow Hills High School. Over the last three years Future Leaders has welcomed over 70 local high school students to its program and awarded almost $10,000 in local scholarships.